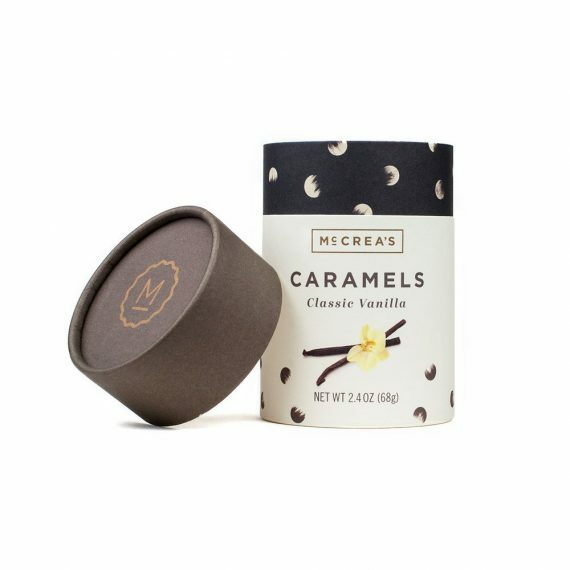 Each of these beautifully prepared gift boxes for bridesmaids is brimming with artisan-quality goods from coffee mugs to delicious caramels to scented candles for relaxation. (P.S. There’s even a gift box for the Blushing Bride!) 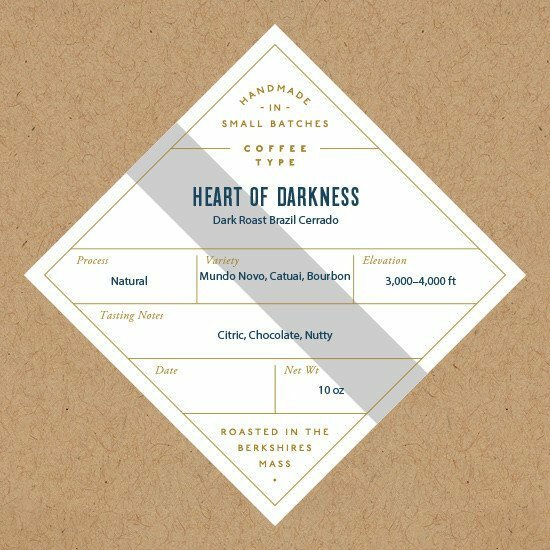 Take a look: we’ve picked three of our faves to share with you today. 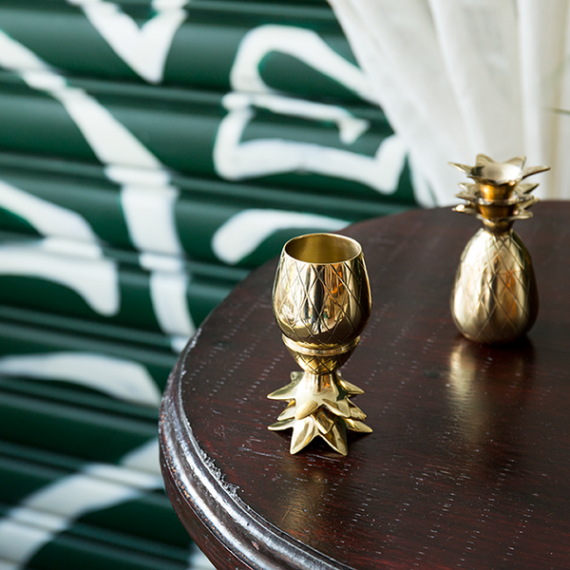 There’s even an option to curate your own! Enjoy! 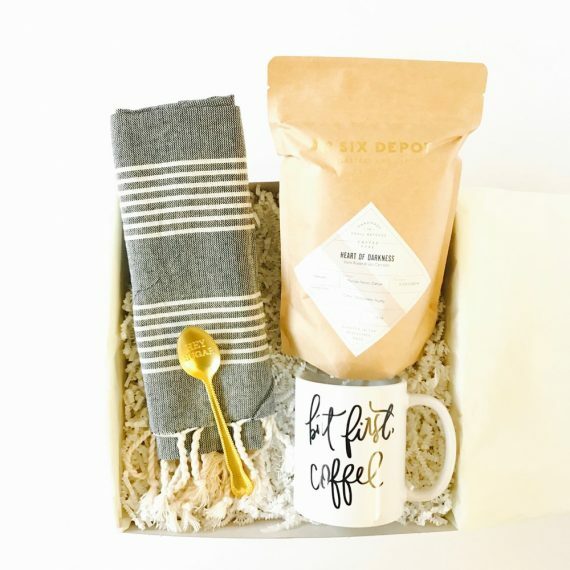 This unique gift box includes a chic “but first coffee” mug by PCB Home, Heart of Darkness coffee blend by Six Depot, a gray tea towel by PCB Home, and a vintage sugar spoon by Twine. 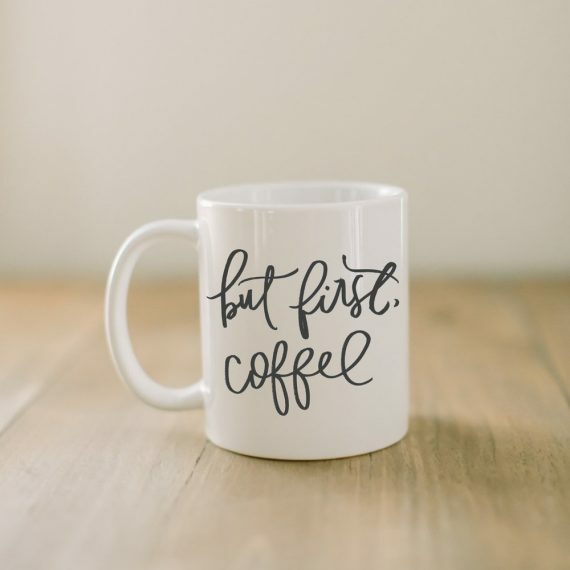 Want / need in my life right now. Buy it here. These gift boxes for bridesmaids are hand-wrapped and tied with a gold satin ribbon. 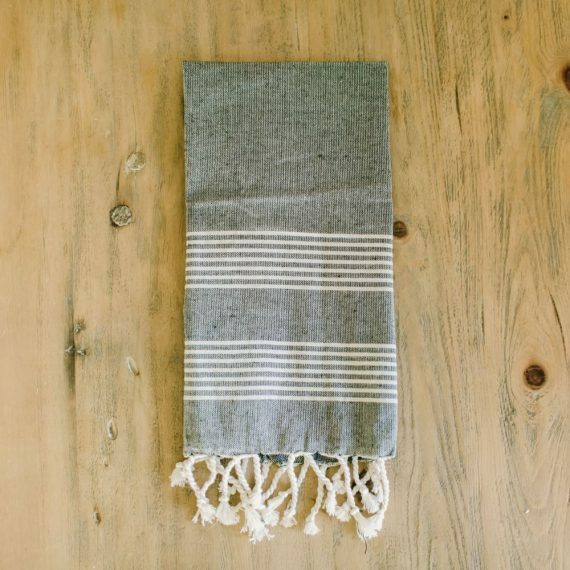 A hand-written note can accompany the gift upon request. 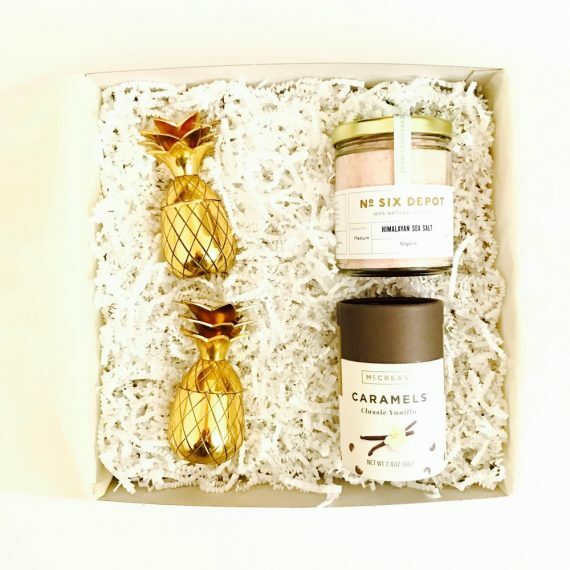 This bridesmaid gift box comes with a balloon card by Just Simply L, towelettes by Well-Kept, a scented coconut milk mango candle by Illume Candles, and a fancy matchsticks jar by Just Simply L. Buy it here. 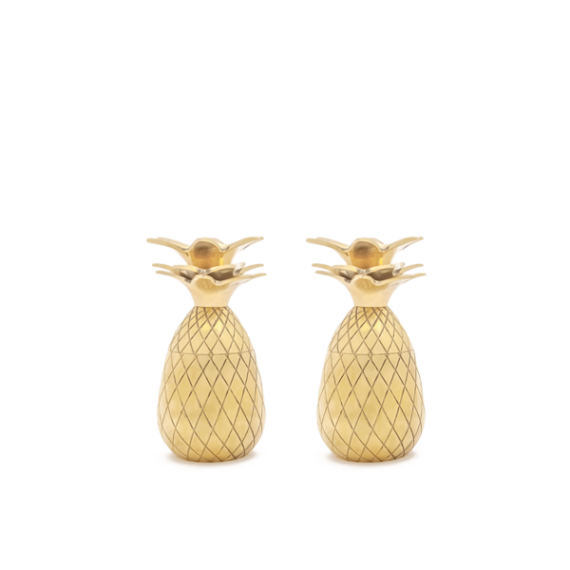 This box is great for a hostess, but we equally think it makes an exceptional gift box for bridesmaids! 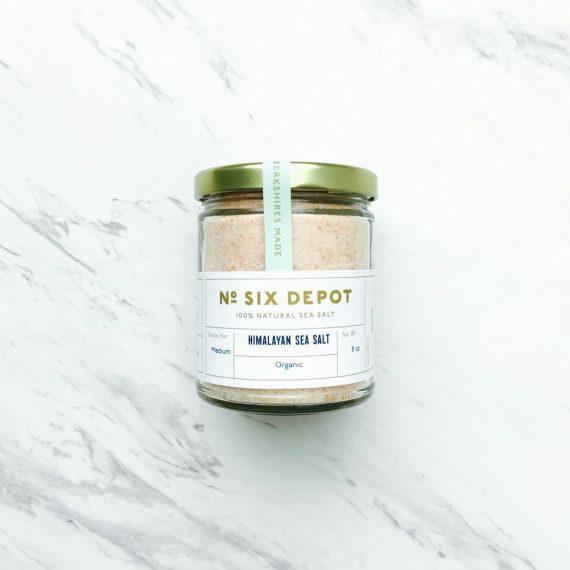 It includes a set of pineapple shot glasses by W & P Design, classic vanilla caramels by Mc Crea’s, and Himalayan sea salt for marinades by Six Depot. Buy it here. DON’T STOP THERE: YOU CAN CURATE YOUR OWN GIFT BOXES FOR BRIDESMAIDS! 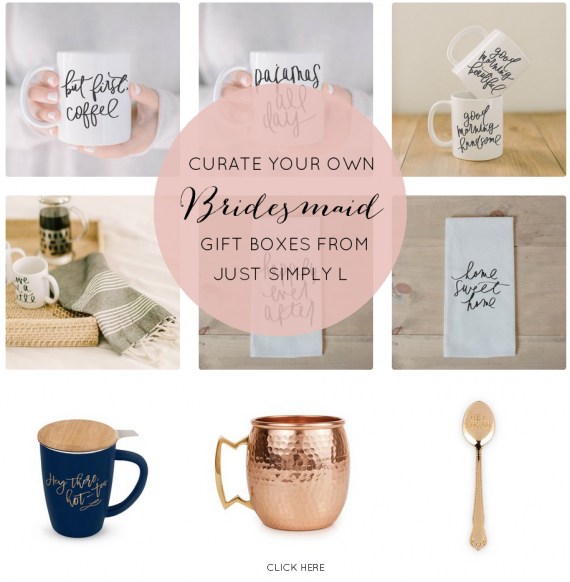 Click here to curate your very own custom gift boxes for your bridal party using quality artisan products, all hand-picked and delivered by Just Simply L! 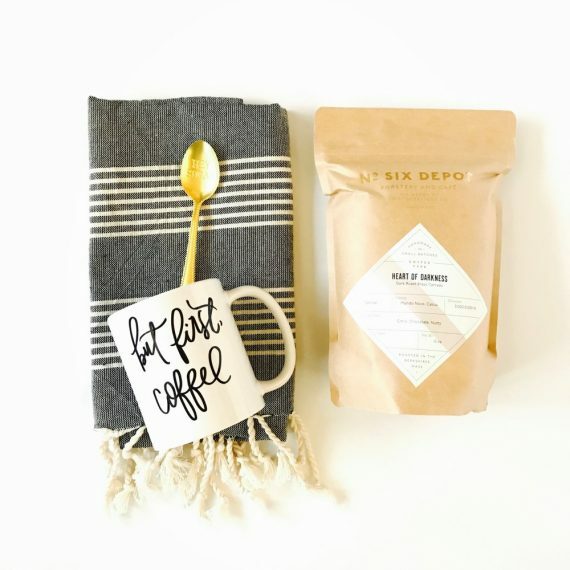 We love the curated gift options, especially the cute tea towels and mugs shown here. Have fun!